This is a beautiful rendition of an artist hitting a piano key again and again. An abstract visual of a real life situation. This video loop fits every kind of project, your video collection will never be the same. 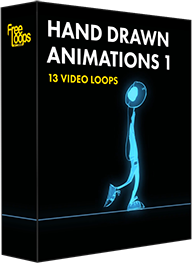 This video loop is part of Hand Drawn Animations 1.